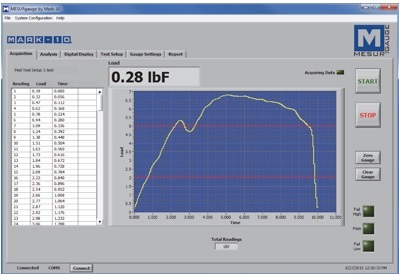 The force gage software is a must-have if you want to expand the functionality of your physical measuring instruments. 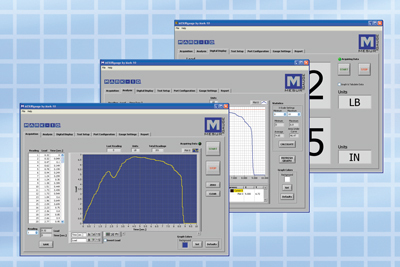 Software under this niche is designed to capture data in real time and display them in an easy-to-understand graphical format. If you have acquired the data you have been looking for, you can also easily save them and then download/export them in bulk into an Excel sheet to facilitate further data manipulation. 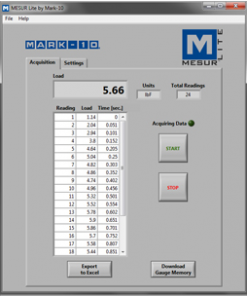 Looking for force gage software that comes with features like single/continuous reading modes, start/stop functionalities or time versus distance graphs? You have come to the right place! 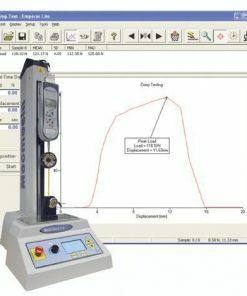 Willrich Precision has more than four decades of experience in the gaging, inspection, and metrology industry and we carry one of the best selections of force gage software. We have been serving many different clients from all industries, so you can be sure that we offer the most reliable software to help you fulfill your force data monitoring and collection needs. What’s more, they are easy to install and use from the get-go. This means that there is minimal waiting (or even down time) before you can get started on your task. You will also be pleased to know that our products are competitively priced. 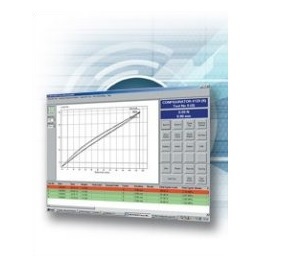 If you are looking for the best deals for force gage software, our inventory awaits your perusal today!